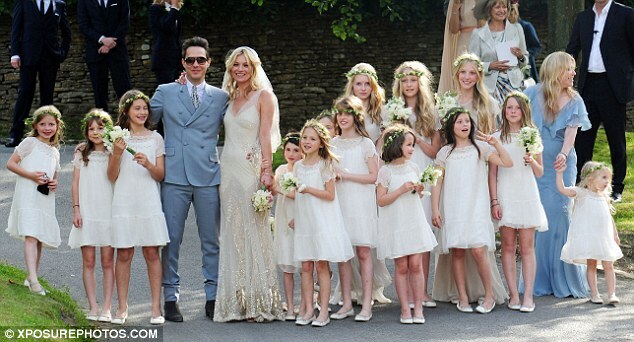 Lush Fab Glam Inspired Lifestyle For The Modern Woman: First Look: Super Model Kate Moss Weds in a John Galliano Dress! First Look: Super Model Kate Moss Weds in a John Galliano Dress! Here is your first look at super model Kate Moss's wedding dress which was custom designed by John Galliano﻿. The sleeveless vintage style dress is made of oyster silk chiffon and embroidered with rhinestones. 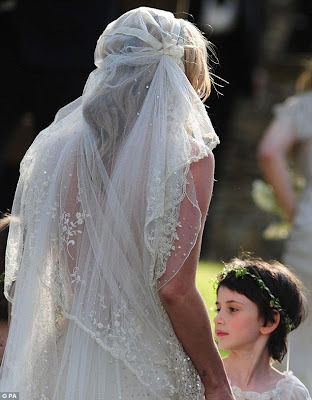 Kate also wore a vintage style John Galliano veil and Manolo shoes to wed her groom Jamie Hince in Cotswold, England today. 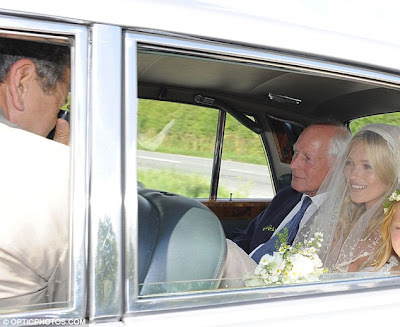 See photos of Kate Moss's wedding below. Kate Moss arriving for her wedding. What do you think of Kate Moss's wedding dress? Is it Fab or Flub? Leave a comment below. I like that she used all flower girls.